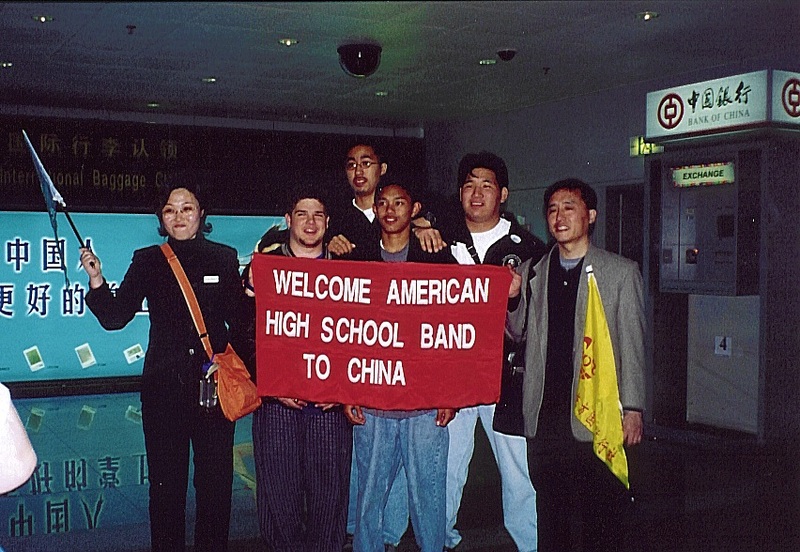 My own China journey began in 2001, when my high-school band traveled to China for a musical exchange. 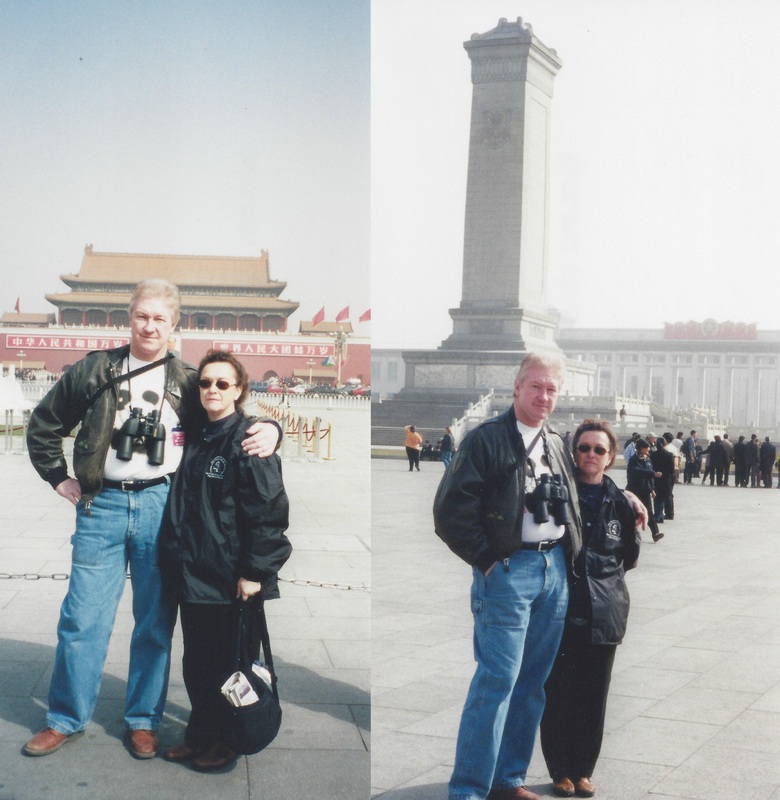 In this article I chat with my parents, who accompanied the band as chaperons, to get their take on China then vs. now, and their overall impressions of the country and people. In 2001 when I was finishing up my final year of high school, my own China journey was about to begin, though I couldn’t know it at the time. Back then, I lived as an average American teenager: going to school, hanging out with friends, playing video games, and generally not paying much attention to the outside world. But everything suddenly changed when my high school band, of which I was a member, was invited to travel to China and participate in a musical and cultural exchange. At that time, the band traveled with a group of around 200-300 people (students and chaperons), and visited four Chinese cities: Beijing, Shanghai, Xi’an and Shijiazhuang. 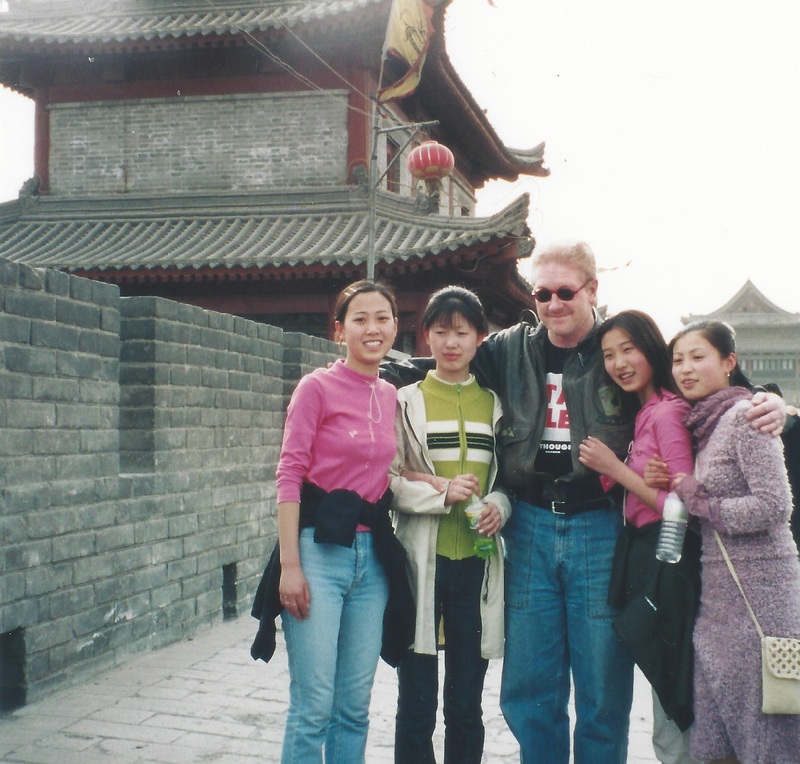 A whole new world was opened to me, and while more of my interest in China developed when I studied abroad there several years later, my band trip to China was unquestionably the starting point. At first I thought it would be interesting to share some of my experiences from that life-changing trip, and contrast them to China today, but then I had another idea. My trip to China in 2001 was unique in that not only did I get to go, but my entire family did as well (my brother as a band member and my parents as chaperons). 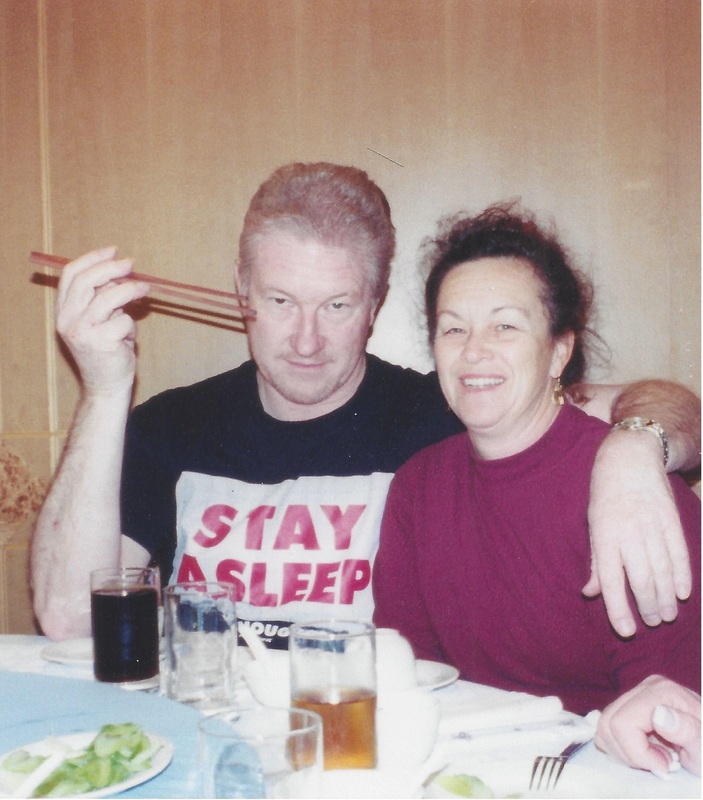 Therefore, in order to provide some interesting insights on China then vs. now, I sat down and talked with my parents, Richard McLaughlin and Diana Upton. In the following interview, they share their impressions of China in 2001, and then discuss how they differ with their more recent experiences touring southern China, with me, in October of 2015. I hope their experiences in both 2001 and 2015 will serve as an interesting lens for you, the reader, to learn more about China, its people and the rapid pace at which the country has developed. China Culture Corner: What was your first reaction when you arrived in China? Diana: First, after flying for perhaps 14 hours we arrived in Beijing and had to go through customs when we were really tired. That whole process was very confusing. I think I was interested and curious about what we would see, and perhaps a bit anxious since we did not speak Chinese. I think the anticipation was made more exciting since we were traveling with friends who had children in the band. We felt proud that our children’s’ school had been chosen to represent the US in a cultural music exchange. China Culture Corner: What preconceptions did you have before trip? Richard: A closed, very controlled society with limited freedom. Diana: I think I still held the view that the Chinese were very controlled by the government. Even though it was more than 10 years after Tiananmen Square, that picture was still very much in my mind. China Culture Corner: What did it feel like being in China the first time? Taking a turn around Tiananmen Square. Richard: Our movement was controlled to a high degree and it took several days before we were able to go out on our own. Diana: I was exhausted when we arrived in Beijing after our long flight. One thing I remembered about our first few days was a lovely garden we toured in Shanghai; as a gardener, I love to see gardens and learn about plants. We then we came across a Starbucks. That familiar association brought me pleasure and a sense of the familiar which always helps one to feel comfortable. One disadvantage of the trip was that we were traveling with over 200 people, and it constrained what we could do. Of course since we were with a tour group, the itinerary was very set and determined by the band’s musical performances. We soon found that we had a tour guide that remained with us throughout the trip, Jason, and this was very comforting. He was very personable and explained a lot of history to us as well as giving us helpful tips about traveling in China. Another thing that was very moving was the massive scale of the city spaces. In particular, I was fascinated by the size of Tiananmen Square. Another community space that impressed me was Xi’an’s city wall. The idea of a wall that surrounded the city was intriguing to me. Our relatively short history in the US has always been based on the freedom of movement and security of laws, so the idea of a city needing fortification was foreign to me. In addition, the sense of history could be felt and that was awe-inspiring. Another difference that was amazing to me was all the construction going on. I remember traveling on the bus through one city in particular, Shanghai I believe, and seeing bamboo being used as scaffolding everywhere. Again, I was amazed – I was worried that it would all collapse. I do not remember ever seeing so much construction happening at once in the US. China Culture Corner: What cultural differences stood out? Richard: Everyone was spitting. People would make insulting remarks within your hearing and did not care if you heard or not. Traffic was heavy and not managed well. Diana: I felt, in general, that the people did not seem friendly. Often, we found streets to be dirty. In the large cities traffic was unsafe and felt crazy – that was a surprise. I enjoyed the variety of cultural performances that we saw. I remember a Chinese acrobatic performance that we saw that was very impressive. I seem to remember hearing some Chinese singing somewhere on the trip, and it was not melodic or pleasing to me…it was strange and I could not see how people would appreciate it. China Culture Corner: What was it like conversing with regular Chinese people? Richard: Generally pleasant, though we needed the help of an interpreter as few people spoke English. Diana: I did not feel that we got to converse with regular Chinese. This was a disadvantage of traveling in a large group. Aside from our tour guide, I felt that our encounters with the Chinese were either the street vendors who practically accosted us, and the staff of the Friendship Stores who had the impression that all Americans are rich. China Culture Corner: What did you enjoy most about your trip? Richard: A trip through a back alley in Beijing which looked like a 1930s movie set; the Terracotta warriors; the walled city of Xi’an. Diana: I enjoyed the musical exchanges and seeing our kids perform. Aside from that, what I remember enjoying most was Tiananmen Square, the Great Wall, Xi’an’s city wall, and the Terracotta Warriors. I loved these for the sense of history that they conveyed. As I said before, the US is a relatively young country and so experiencing a culture that is so old gives one a very different way to think about the world. China Culture Corner: Can you describe an interesting experience? Richard: Once, we left our hotel in one city and saw dozens of people stealing power by tapping into the 440 Volt three phase line which was hanging almost at eye level because of all the lines attached to it. No one seemed concerned about this. Diana: As we drove from Beijing to another city, the freeway was cleared for us – it was totally empty. That was a mystery. Also, our experiences in the Friendship Stores were also interesting; the Chinese seemed to have the idea that Americans were rich. China Culture Corner: What was the hardest part about adapting to China at the time? Richard: Having a rigidly controlled itinerary, including only being able to shop at Friendship Stores. Diana: I think the hardest thing was the pressure when shopping that I HAD to buy stuff. I am someone who takes time when shopping and chooses carefully. The idea that I was supposed to buy, buy, buy was uncomfortable for me. China Culture Corner: How did your perception of china change during the trip? Richard: There seemed to be more freedom than I expected, especially the number of small entrepreneurs that existed. Diana: I don’t think my perception of China changed, but I would say I was intrigued to learn more. This is a benefit of travel. 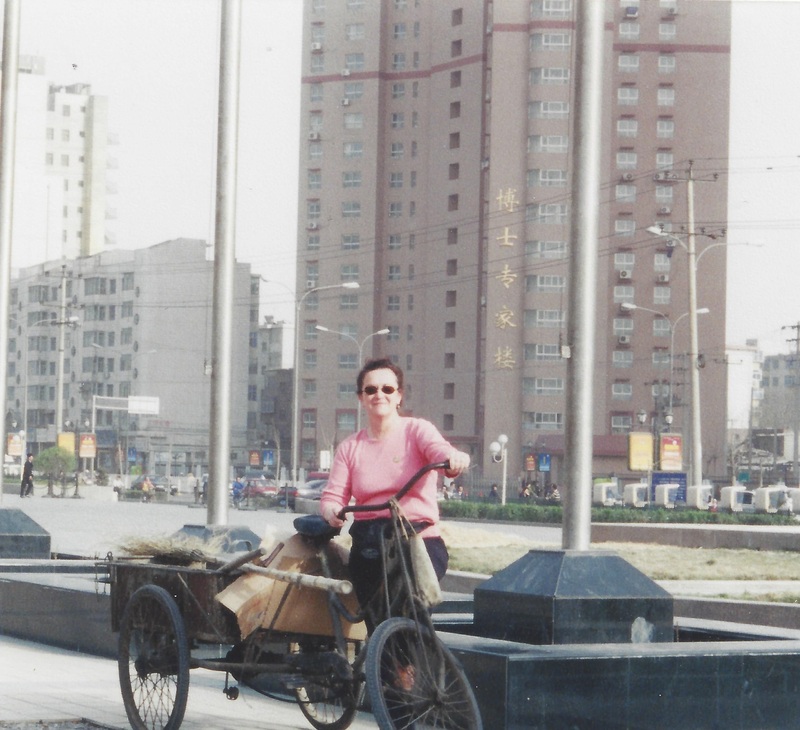 In fact, the trip, as well as my son studying China, led me to read extensively about China. In enjoyed reading Red Dust, Foreign Babes in Beijing, Three Swans, Mongolia, and Last Days of Old Beijing, among others. China Culture Corner: During your most recent trip, what differences did you notice compared to 2001? Richard: There were many more taxi cabs, much better driving, and the cities were much more crowded. There were no fat people at all, and there were many Western businesses, such as KFC, Pizza Hut, 7-11, as well as shopping malls. Diana: Well, the obvious one is that we were traveling with three of us rather than more than 200. I don’t remember this when we traveled in 2001, but there were so many people with babies or young children on the backs of motorcycles or Vespas. I could not get over how casual they were about this. We have a lot of laws in the US that govern behavior and safety practices. Driving on motorcycles with young children would be unheard of here. China Culture Corner: How did your experiences differ? Richard: We were not controlled and had freedom of movement. We also got to interact with regular Chinese citizens. However, the climate on this trip, in contrast to Beijing and the other cities we visited in 2001, was quite hot, humid and very uncomfortable. Diana: I think that having freedom of movement allowed us to see more of the nitty-gritty of the cities we visited. China Culture Corner: What experiences did you most enjoy with regard to Chinese people, cultural and society? Richard: I enjoyed interacting with the tour group, how friendly they were, the freedom of movement, riding the bullet train to Guilin, and not drowning in the Li River [Editor’s note: Richard was worried about the seaworthiness of the tour boats]. Diana: Although most people spoke Chinese, I found them to be very friendly for the most part. When we traveled for several days with a small tour group, the Chinese were very deferential to us, perhaps because we were older or American, which was very sweet. One of my favorite experiences on this trip was talking with the two Chinese women who did speak English. They were very nice, and we thoroughly enjoyed talking with them. China Culture Corner: How has your impression of China changed in the last fifteen years? How much has your time in China influenced these perceptions? Richard: I’ve really been impressed by the sheer industriousness of the Chinese people and the apparent freedom of movement in day-to-day life without evidence of police control. Diana: I think most of my impressions have come from the media, though I try to choose what I read carefully and keep an open mind. As I stated earlier, travel is a great way to broaden the way we think about the world. Because we have just been there for two short trips and seen different parts of China on each trip, I don’t think I can speak of my impressions changing. Instead I am getting a better and better picture of the country and the people each time I visit. But it would take a long time and many trips to get a full picture of the people and the culture. 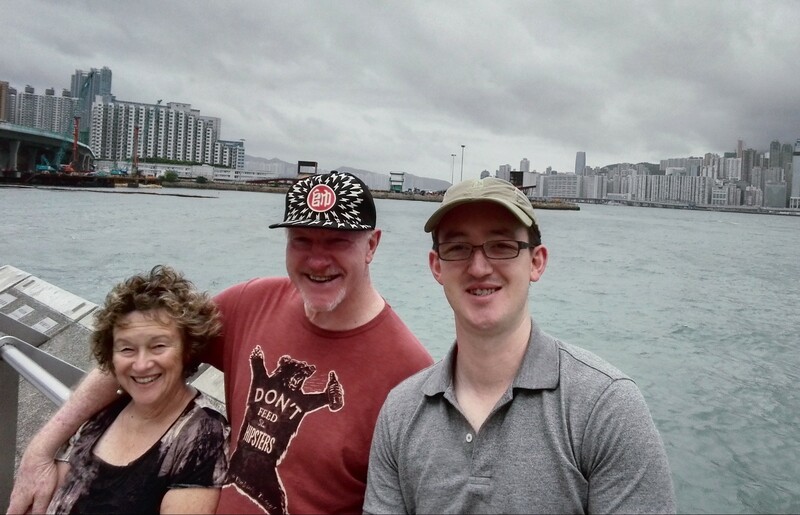 Enjoying the Hong Kong waterfront in 2015. Richard: The Chinese are very hard-working, they are willing to sacrifice and save to a degree not seen in the US. They work harder than Americans, the save more, they are more active – everyone was walking. They impressed me as very hardworking, serious and hungry for the things Americans take for granted. Diana: Well, I still feel I have so much to learn about “the real China”. After two weeks there, my curiosity was piqued and I wanted to stay and learn more. I certainly want to go back to visit, though not when the temperature is 30 degrees Celsius. China Culture Corner: Do you think it’s worthwhile to study Chinese and learn about China? Richard: I don’t think it’s worthwhile to learn Chinese unless you’re going to work or live there. It’s difficult and there is no place to practice the language skills. Learning about china on the other hand is important because they are a major geo-political competitor and our economies are closely intertwined. Diana: I agree. China is a civilization thousands of years old that we can learn from, and having a knowledge and understanding of their culture, as part of the human experience, enriches ourselves. Do you have any questions or comments about traveling in China and learning about the Chinese people? Would you like to know more about the two China trips mentioned in this interview? Please feel free to post your thoughts in the comments section below. you have done it well, just an open mind without prejudice. Next Entry 2016 is the Year of the Monkey!